Do you know your phone is insecure? Your private data can be accessed by anyone. What if someone can have access to your private data like images, emails, videos, text and multimedia messages, bank and social media account information? Surely you would love to secure your personal details and data on your cell phone. Your phone’s security locks and software can’t secure it. You need to have a specifically developed app to secure your phone data. MyDeviceLock is the best solution. MyDeviceLock enables to use the Swype technology on your phone, the most effective way to safeguard the contents of a phone. MyDeviceLock is developed by Neurologix Security Group – research and development team; myDeviceLock is based on the latest technology that provides unsurpassed security. 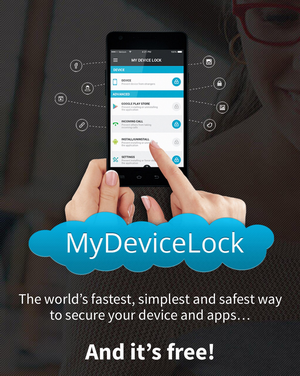 MyDeviceLock allows its users to enjoy complete privacy, as it makes their phone data safe and secure, and usable by the owner of the device only. The app features the signature verification algorithm, which won Top 5 Finalist in the Global Security Challenge – London. Means you can rely on this app for the security of your private data. You won’t regret the decision. For security there are Five lock types: Signature, PIN code, Password, Lock pattern and fingerprint. You can use any of these lock methods to secure your data. To checkout exactly how it works you can go through this video below. What if your phone is lost of misplaced? 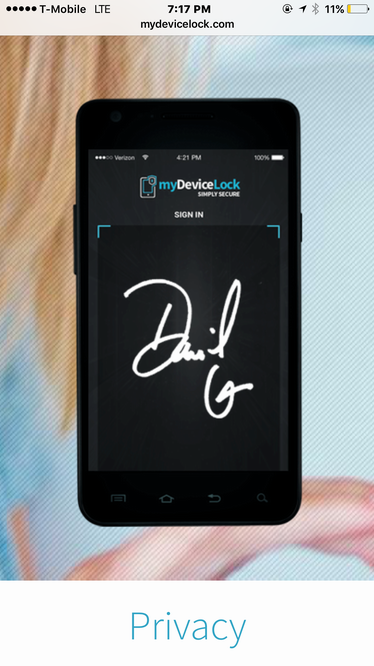 With MyDeviceLock your data is secure even when your phone is misplaced or stolen. With the advanced technology used in MyDeviceLock, the users can stay tension-free even if their phone is lost or stolen, as it completely locks down the phone when an invalid code is inserted several times. Means the app is useful in all consequences.